The project has been undertaken using digital games with 270 participants who make up the mental health care ecosystem: individuals with mental health problems (62.6%), professional and non-professional caregivers (25.6%) and other agents, friends, and family members (11.9 %). In order to develop the research, 45 sessions were carried out in four cities of Catalonia (Lleida, Valls, Sabadell and Girona) between 2016 and 2017. The main results of the games show that individuals with mental health problems exert the greatest effort to contribute to the common good, but they also are the most exposed and vulnerable. Their decisions in the games reveal trust, reciprocity, cooperation and a community feeling. "This group is the one that has made the most effort to achieve a common objective, playing a noteworthy role in the smooth functioning of the ecosystem. Their greater predisposition to contribute to a collective action can be seen as a way a reclaiming their place in the community," explained Josep Perelló, UB researcher and head researcher. At the same time, the cooperation and optimism of caregivers and professionals are key elements for the community. "The characteristics of the personnel who attend individuals with mental health issues are fundamental in their personal recovery, as in in their the social interaction and integration in the community," explained another of the study's authors, Anxo Sánchez, from the Grupo Interdisciplinar de Sistemas Complejos-GISC- (Interdisciplinary Complex Systems Group) of the UC3M Mathematics Department. Accordingly, the study supports the idea that 'social capital', that is, "the entire social network of caregivers and professionals around the individual with mental health problems are key in his or her socialization and integration processes," highlighted Sánchez. "At the same time," he added, "it demonstrates that persons with mental health problems are capable of contributing to a large extent to integration processes, which also makes them more vulnerable if the response of those around them is not adequate". The results of this research, in the opinion of Trabado, spokesperson for the Federación Salud Mental Cataluña, and one of the family members who took part in the research, "make it a point of departure and a successful case to discuss concrete proposals aimed at promoting social insertion for individuals with mental health problems, and increase community services and foment active polices to promote mental health and prevent exclusion." Although there have been other similar studies on persons with mental health problems, the size of the sample used, and the possibility of working with persons with different types of mental health issues, "enable us to conclude that the work sessions we have designed and the study's results can be useful to design collective actions for the mental health area," Anxo Sánchez pointed out. The experimental device, implemented with electronic tablets, simulates strategic social interactions based on game theory and presents social dilemmas which involve conflicts between an individual's interest and the common good. The experiments were carried out within a social situation and in normal everyday conditions, such as at the celebration of World Mental Health Day or in a social club. 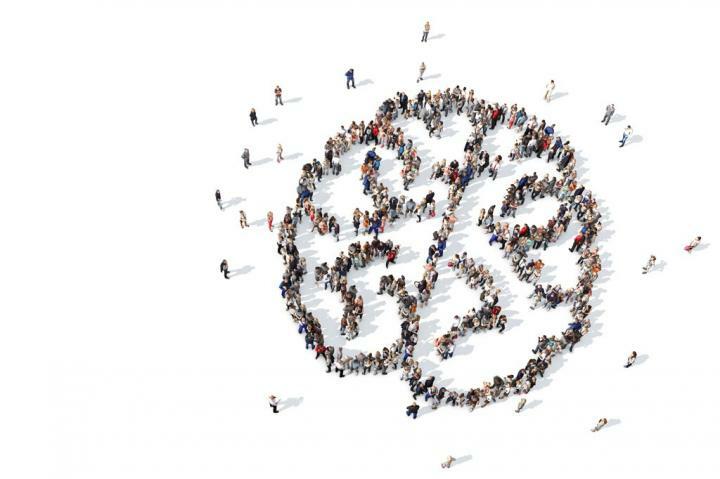 "In this context we aimed to measure in an innovative and multidisciplinary way the social cohesion of groups formed by the different actors that play a part in mental health recovery," Perelló stated.